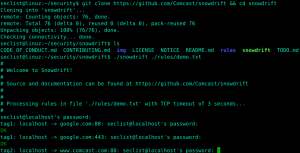 Browse: Home / snowdrift is a unit testing for firewall rules. 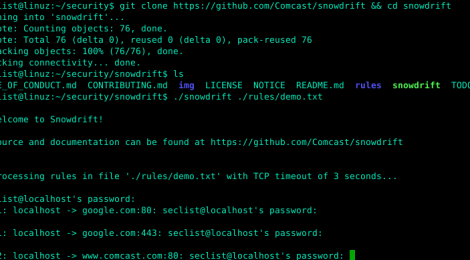 snowdrift is a unit testing for firewall rules. It will change your workflow for the better. This utility aims to automate that by having “rules files” which this script then procesess and will SSH into each machine and try connecting to the target host on the specified port. By writing and saving rules file, you now have unit test-like ability for testing firewall changes. After changes are made, you can use this script to verify correctness of firewall operation, as opposed to having to SSH to different machines by hand, run netcat manually, and then run Traceroute manually to send back to the firewall team. + Support for a range of hosts using the “[01-nn]” notation found in Ansible inventories. + Support for running traceroute and tcptraceroute when a connection fails. + Basic SSH connectivity to each host is checked and its state remembered, so that if there are many rules for a host you cannot SSH into, you will only see one error from the first instead of potentially dozens of errors. The underlying mechanism is pretty starightforward: for each source host, this script will SSH into that host and run netcat (if testing TCP) or dig (if testing DNS) against the target host. It will then report the results back to you. + ssh-agent running, with keys to all machines you want to SSH to. 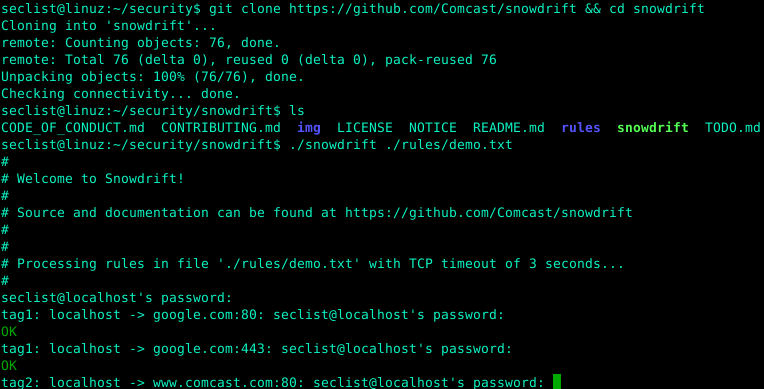 Testing can be done via docker, simply cd into the testing/ directory and run the script go.sh. This will spin up some docker containers, and test the app from inside them. ← DNSMORPH is a domain name permutation engine.